Here you can see my DDS-VFO which I built from a kit and then found a suitable case to put it in and it has an internal 9V battery. To get the frequency as accurate as possible it has been alligned with WWV on 10Mhz.. 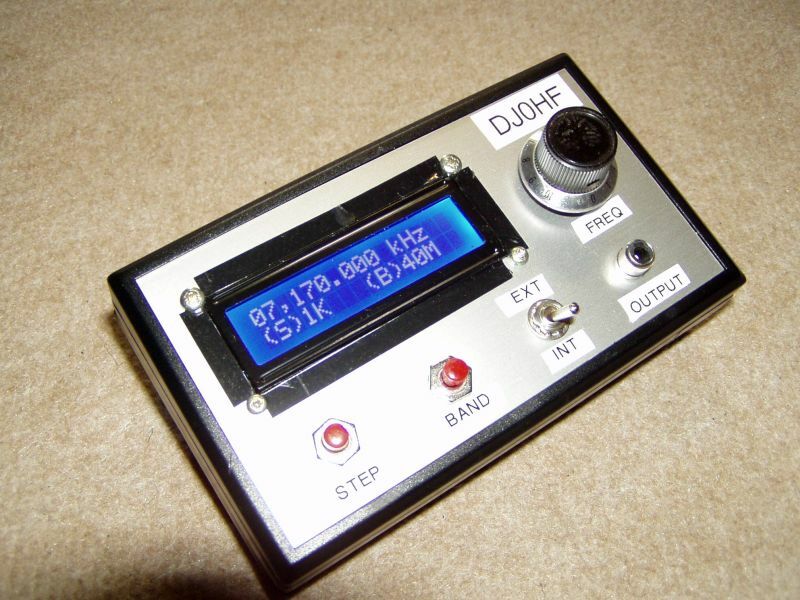 It generates any frequency from a few Hz up to 30Mhz with step sizes of 1Hz to 1Mhz and I'm using it at the moment as the VFO for my modified Wee Willie. 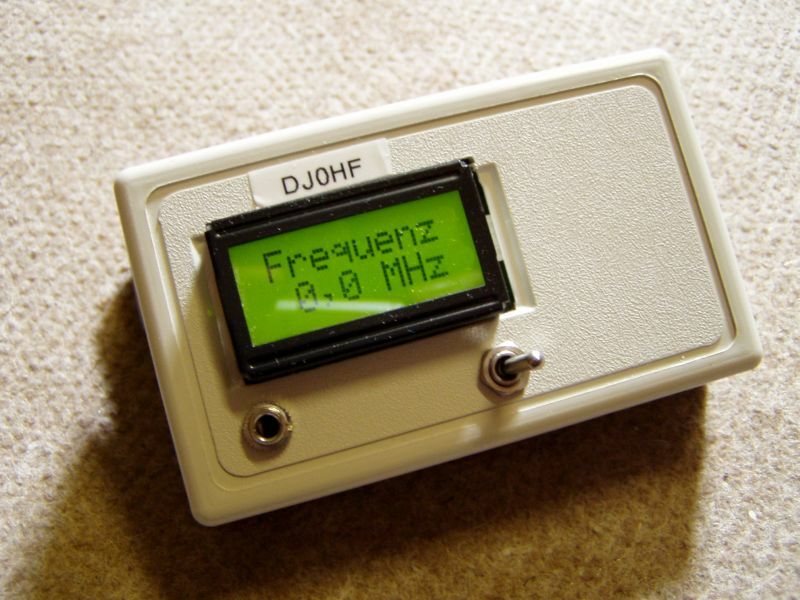 This little transceiver is designed to receive from 160 - 10M and transmit Double Sideband on 40M. I expect it will be up on this web-site soon. The receiver seems to be working fine and I just have a few problems with the amplifier stages of the transmitter. Yes, you've guessed it one of them is oscillating.